This super cute Loungefly x Star Wars Ewok fleece mini backpack is now available exclusively at Box Lunch. The mini backpack is made from soft fleece fabric, and features embroidered details – and even little ears! The design is inspired by Wicket, the young ewok that Princess Leia meets on Endor in Return of the Jedi. Yub nub, eee chop yub nub, toe meet toe pee chee keene, g’noop dock fling oh ah! This is one bag that makes us feel like singing! 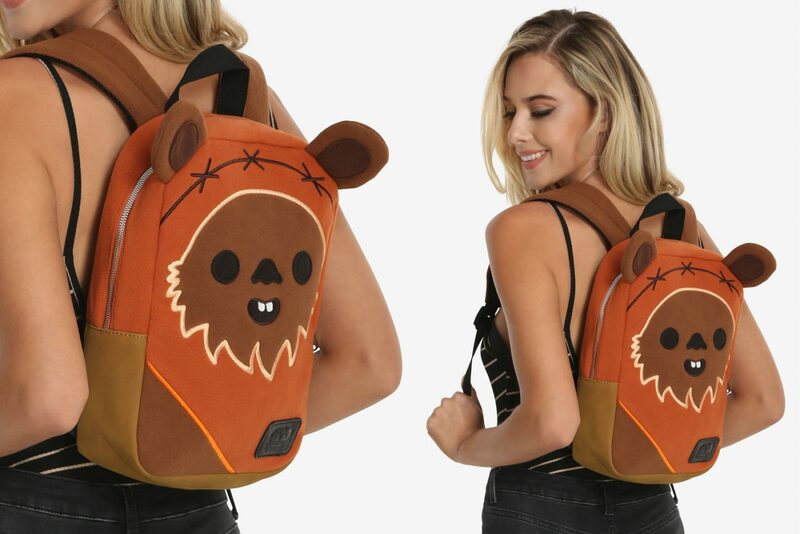 This mini backpack from Loungefly and Star Wars reminds of our favorite childhood plushie; it’s a fleece Ewok! This bag has an Ewok character face design in super soft fleece, featuring attached ears on top. Star Wars logo print lining. Padded back & adjustable straps. Zipper closure. The backpack is priced at US$39.90 each – but is currently on sale for only US$27.93 each! Box Lunch can ship internationally, which is great! Previous Post Musterbrand x Star Wars at Shop Disney!